All these pieces employ the technique of heat-treating. 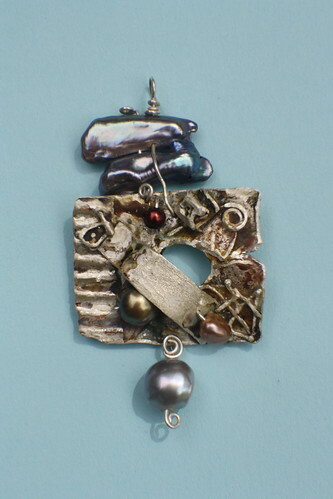 While experimenting with metal, I discovered that I could make beautifully colored metal. Blue, green, yellow, and rust tones are created by heating the sterling silver with a torch and the metal is melted to give an organic effect. 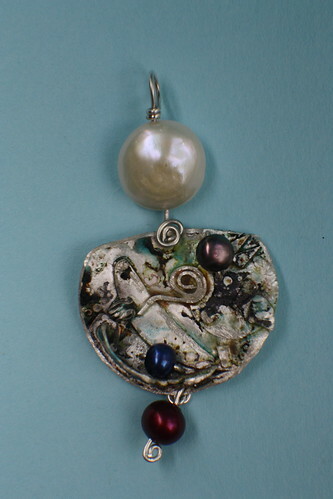 I add different colored freshwater pearls to complement and accent the colorful sterling. Most people are shocked when I tell them that it is sterling not abalone, PMC clay or enamel. Each pendant comes on either a 16", adjustable 17” to 18”, or 20” leather cord. 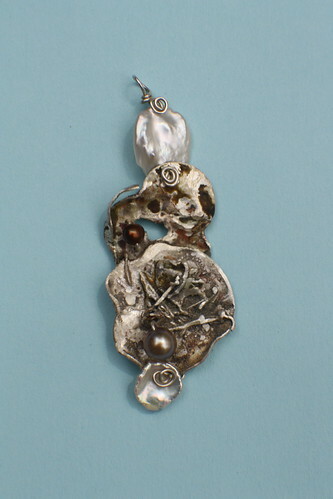 Make it more special by adding one of my unusual pearl strands to be worn with the pendant or earrings. 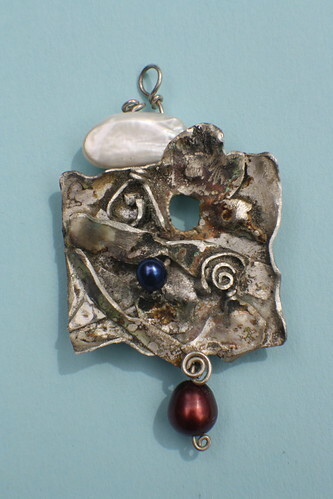 Wear the pendant with pearls for dress and leather cord for casual attire!